One of the most frustrating parts of the job search process occurs when the phone doesn't ring. You have submitted hundreds of applications (or so it feels), and not a single call back. Why won't the recruiter call? There are many different reasons why the recruiter doesn't call. From experience, I can tell you most recruiters are carrying a heavy workload. The average number of positions a recruiter is managing could range from 8 to 20. Working in high volume staffing for hotels, my team carried close to 100 openings each during peak season. It was insanely busy! Each position garnered 50 to 100 online applications (or more depending on the type of role). Then there are the internal candidates, employee referrals, and random resumes that hit their desk. At the end of the day, there are a lot of people being managed through the process. This isn't intended to be an excuse. It is just to provide a little insight. Related: Download the formula to write a killer resume and get noticed by recruiters. When a recruiter has an open position, they don't have the luxury of calling every candidate that applies. Unfortunately, it just isn't a realistic expectation. Instead, a recruiter must rely on resume details to identify candidates that may fit the role best. The top 6 to 8 candidates will get a phone call. 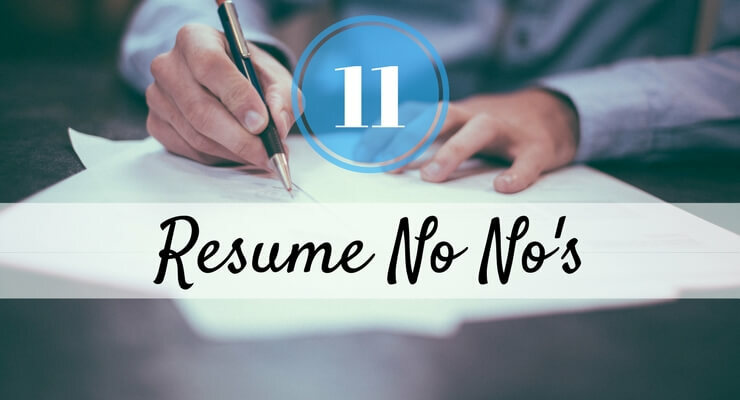 Reason #1 - Your resume was too generic! What does this mean? Your resume needs to grab their attention! It must have everything they are looking for in a candidate! This is why it is so important to update your resume for the job you are applying for. Generic will get you lost in the sea of candidates. Review the job description before submitting your resume. Use it as a guide. Always make sure your most relevant job experience is highlighted. If the job requires someone with cash handling experience, your restaurant job had better specify that you managed the register drawer and handled cash. If the job requires social media management using a program like Buffer, you had better have Buffer listed somewhere on your resume (assuming you have used it). Reason #2 - There is already a candidate identified. While it may not seem fair, there could already be a candidate identified. It could be the next step for an internal candidate's career. It could be a runner up candidate from the last job they had open in that department. There could be any number of scenarios that result in a candidate being selected early. That doesn't mean you wouldn't have been a great fit. It just means the hiring manager is executing their plan for their team and this time it doesn't include you. There isn't much you can do in this scenario. If you have a way to follow up with the recruiter to get an update, that may help to shed some light. However, keep in mind any interaction you have with the company needs to be extremely polite and professional. Don't show your frustration. They will remember the interaction the next time a job opens. Don't let your emotions ruin future opportunities. Reason #3 - There just isn't a match for you. This is hard to hear, but it is possible they just aren't that into you as a candidate. Try not to take it personally. While you may think you would be the perfect fit, the hiring manager may have given a specific characteristic that you just don't have. It may be something they aren't willing to budge on. The other reason they may not be into you is because your resume isn't as strong as some of the others that have come in. Finding the perfect candidate isn't just about finding a candidate that matches the job. It is also about comparing that candidate to every other person that applies to rank them. Recruiters will only spend their time with those at the top of their list. There just isn't time available to dig deeper. This is another time I would recommend following up with a recruiter for an update on your application. Again, make sure every interaction is positive and professional. This is an opportunity to network for future openings. Request feedback on what you were missing or how you can improve. Take it and apply it if it makes sense. There comes a time when you should walk away. If you keep applying for jobs and constantly get rejection emails. If you never get a recruiter to return your phone call or email. You may need to consider walking away without answers. A recruiter that isn't good at their job may never respond. After a while you should take their non-response as a sign they aren't interested. Again, don't take it personal. A well trained recruiter will respond one way or the other and share why they feel you aren't a fit. This is a tough conversation to have. Not everyone is comfortable doing it. In these instances I tell myself it wasn't meant to be. Something better will come along. Until it does, focus on the things you can control in the process: your resume, your interview skills, and furthering your experience. Download the tips that will transform your resume and put you at the top of the list for the next job.